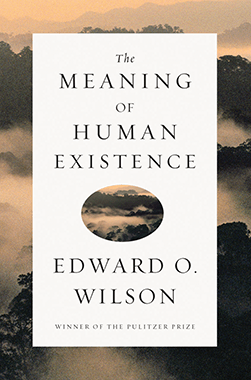 Recently I was given the opportunity to review Edward O. Wilson‘s The Meaning of Human Existence (2014) for the July/August 2015 issue of The Humanist, the official magazine of the American Humanist Association. Though I think the book serves more as an addendum to On Human Nature (1978) and Consilience: The Unity of Knowledge (1998) than a single, independent work, it’s undoubtedly worth the read. Though he tries to cover a lot in this book, its best chapters are those when, rather than approaching the humanities with a fist, he opens his hand.